The Registrar’s Office, 101 West College Blvd, Roswell, NM 88201 annually publishes the NMMI Catalog. The catalog (mobile friendly) is a web-based catalog and a printed copy is maintained for archival purposes only. A PDF version of the catalog is also available. Graduation requirements are for students entering in the Fall 2018 through Spring 2019 school year. Information is accurate as of the date of publication, and specific changes that apply to this catalog and school year are noted on the change page. 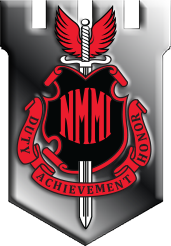 NMMI through the Board of Regents reserves the right to make changes in policies, regulations and fees giving due notice.